6 Months Free Amazon Prime For Students! It's that time again, Warner Bros. latest attempt at adding a semi-decent instalment to their 'The Conjuring' Universe. I managed to see a pre-showing of this movie so I went into the film completely blind to critic reviews. Now, you'd be forgiven for not even noticing this film was part of The Conjuring Universe. The only relation I saw that it had to the universe was a shared character and a reference to Annabelle. The film didn't seem to add anything to the already expanding collection of films but that isn't to say that the film itself wasn't exceptional. The Curse of La Llorona is director Michael Chaves' take on on the Mexican folklore legend of La Llorona, the weeping woman. The original tale states that La Llorona was a young woman named Maria of gave birth to 2 sons to a travelling nobleman. The man eventually disappeared for long periods and time and returned only to pay attention to his two sons. In a fit of blind rage, Maria drowned her two sons in a nearby river. Upon realising what she had done she searched for the boys but couldn't find them. Days later, she was found dead by the same river. Her ghost now haunts Mexico searching for her children. The legend described in the film is almost identical albeit with a few changes. I appreciate how the director kept the legend as close to true as he could. La Llorona herself was perhaps one of the Conjuring Universe's creepiest villains, more so than the Nun, whose 2018 film is my favourite instalment so far. The acting in the film was reasonably good for a horror movie, particularly Breaking Bad's Raymond Cruz as ex-priest Rafael Olvera. Although sparse, the writer's attempt at bits of humour in the film fell mostly flat. La Llorona was an adequate horror film in itself but added very little to an already mixed-quality universe. In my opinion the film should have been kept a standalone movie so that the writers can focus solely on making a great standalone movie. All-in-all, this film was indeed jumpy at times, reasonably acted but didn't add much to the universe it was trying to be a part of. What did you think of the film? Do you think it added anything to the universe? Let me know in the comments and I'll reply to them all! *Beep* *boop* Initiating guest protocol. Scanning environment. Targets acquired. Engaging discourse in 3, 2, 1. Blatant self-promotion detected. Deploying countermeasures! Hiya! I’m James and I’m here to help you take your dungeon master skills to the next level. Before I get started, big thanks to Adrian for the invite. If you dig what I have to say and want to hear more, you can check out my blog and podcast at www.conquestorcalamity.com and or follow me on twitter @ConquestTable. Today, I’m here to talk about 4 things you can do right away to be a better Dungeon Master. Whether you’ve been DMing for years or you’re thinking about picking up the game for the first time, there is always room for improvement. At Conquest or Calamity, we are currently playing Dungeons and Dragons 5th edition but these tips can be easily applied to whatever rule system your group prefers. As a DM, it can be very tempting to write a detailed story, beginning to end, and then stick player characters into it. After all, you’re the person doing all the prep work. Why shouldn’t you be the one to write the story? In a word, agency. While no DM worth his or her salt would ever go into a game without some narrative hook, (See tip #2) nothing kills a player’s sense of agency faster than the realization that their choices don’t matter. After time and again bumping fruitlessly against a DM’s expository rails, many players will feel as though they are simply being herded along from “cutscene” to “cutscene”. For some players this type of game is enough but for many it can feel one dimensional, if not altogether boring. I’ve seen more than a few games ruined by a ham-handed DM with an overbearing agenda. Don’t fall into this trap. Instead, prepare to give your players the freedom to explore the setting, subtly incentivizing them toward story objectives using meaningful rewards. In time, clever players will learn to tug on the strings that offer the greatest benefit. Thus, the party gets to experience your story but on their own terms. It takes practice but believe me. Your players will thank you. Ah, yes. Preparation. The DMs lifejacket. There’s a whole post about this one over at Conquest or Calamity so I won’t reinvent the wheel here. Suffice it to say, there are as many correct ways to prepare for a game as there are games. The most important thing is to have a mastery over whatever setting you ultimately choose. A DMs understanding of rules and context can make or break a campaign. Remember DMs. When it comes to the game, it’s setting, and all of it’s inhabitants you are, for all intents and purposes, God. You are the arbiter of all game things and as such you are entitled to certain luxuries. In this case, I am referring to cheating dice rolls. Did a pesky goblin score a crit on your rouge right before she could do something totally awesome? Not if you think he shouldn’t have. You’re God. There are several reasons that DMs use screens. This is one of them and it is your birthright. That said, this particular tip must be used sparingly as to not alert players. To accomplish this particular feat, I generally ask myself the following question before cheating a roll. “If I don’t cheat this roll, will someone in the party feel as though their night was ruined?” If the answer is yes, I cheat. Sometimes, regardless of how much you prepare, a player will ask or do something that will stump you. Don’t panic. Just make it up. You are God after all. If you confidently assert that something is so, then it is. Just make sure to be consistent and remember that the purpose of the game is to have fun. It's hard to believe. There are not enough particles in the visible universe to support the rate if human growth for more than 8,604 years. This number doesn't even take into account other types of life on our planet and possible other planets. 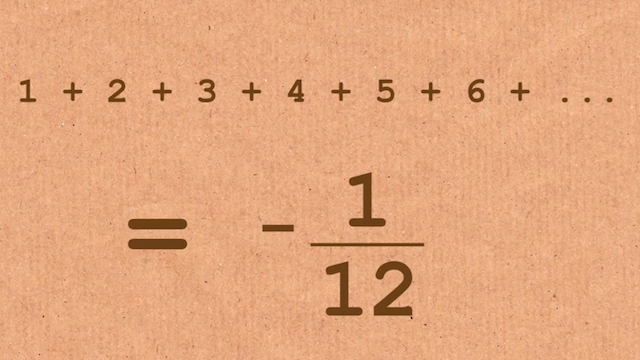 This was a figure recently calculated on Numberphile by Tony Padilla. This is a bit of a controversial one. It's a bit of a counter-intuitive idea. The proof is...strange? To say the least but it does work. Check out the proof for yourself, again from Numberphile and let me know what you think. It is also where Google got their famous name from. A Googolplex is written as 1 with a googol number of zeroes after it. There is literally not enough space in the universe to write down the number in it's long form. It is just too large. Why would you not want to? This carries one of the quickest proofs I have ever seen. 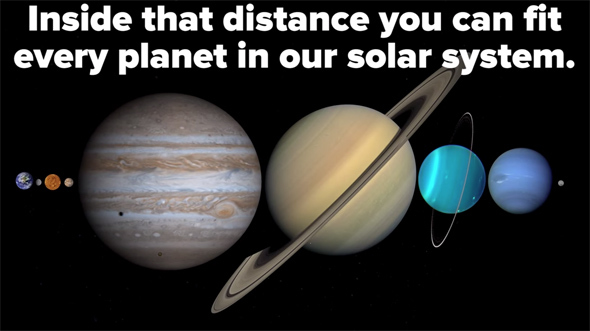 Providing you take the distance where the Moon is at it's farthest from us then you can fit every single planet in the gap if you were to place them pole-to-pole. Otherwise known as absolute zero this is the lowest temperature that any substance or object can reach. This is because the atoms have no energy at this point, meaning it is impossible to lose any more energy (heat). Absolute zero is set at 0 in the Kelvin scale and equates to -459.67 F.
For example: 3+4+5 = 12 which is divisible by 3. The same also works for the sum of any 5 consecutive numbers being divisible by 5. It also takes 243 days to rotate, the longest in the solar system. This makes a day on Venus longer than a year on Venus (225 days). 10) If someone is asked to pick a number between 1 and 10 chances are they will pick 7. This is because they wouldn't choose 1 or 10 cause that's too obvious. 5 is in the middle so that's out. it's not going to be an even number so 2,4,6 and 8 are gone, leaving 3 and 7. 3 is too small of a number so 7 takes the gold.